Acetate fronts meet sleek, handcrafted stainless steel temples in an elegant click-in connection for the popular LITE mixed material models. HILLA hits the scene making a statement that combines beauty with cool and raises the question: Is octagon the new round? 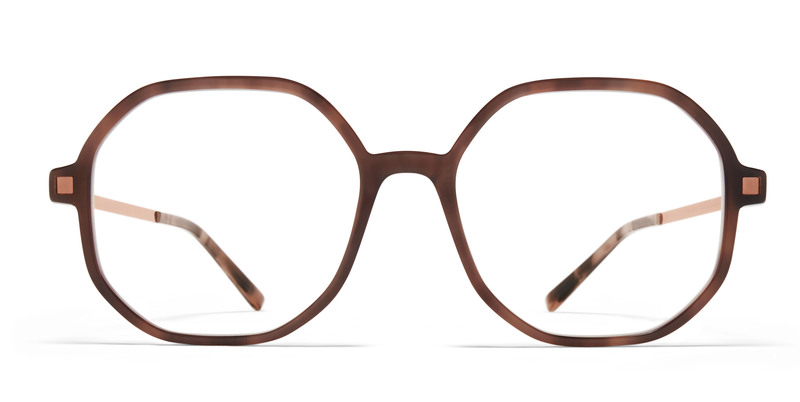 HELGI delivers easy attitude with a clear-cut shape and high mono bridge. Colourways such as Zanzibar/Mocha accentuate the appeal of the material mix. BEULAH demands attention with an all-round elegant dynamic. There is the panto-meets-butterfly shape as well as the contrast-rich frame surface made possible by advanced semi-etching and precision lacquering techniques. The simple appeal of LONNE comes from its clear shape: a large, rounded panto with a double bridge for keen tastes. Both optical models feature acetate detailing on nose and temple pads for warm wearing comfort and to complete the refined aesthetic.